Tour de France organisers have announced a four-country route for the 2014 event, starting in England and featuring stretches in the north and east of France to commemorate the Centenary of World War I.
Belgium and Spain will be the other featured countries, with Stage Five starting in Ypres. Stages Six and Seven visit Arras, the Chemin des Dames, Verdun and Douaumont – all sites of major battles and famous memorials to the fallen. Three Tour de France winners – François Faber, Octave Lapize and Lucien Petit-Breton – died during the war. Faber was killed on 9 May 1915, while serving as a corporal in the Foreign Legion. Lapize, a fighter pilot, was shot down and mortally wounded in 1917 while Petit-Breton was killed in a road accident near Troyes the same year. ‘We of course cannot forget them. The Tour is also a moment of collective remembrance,’ said Tour director Christian Prudhomme. 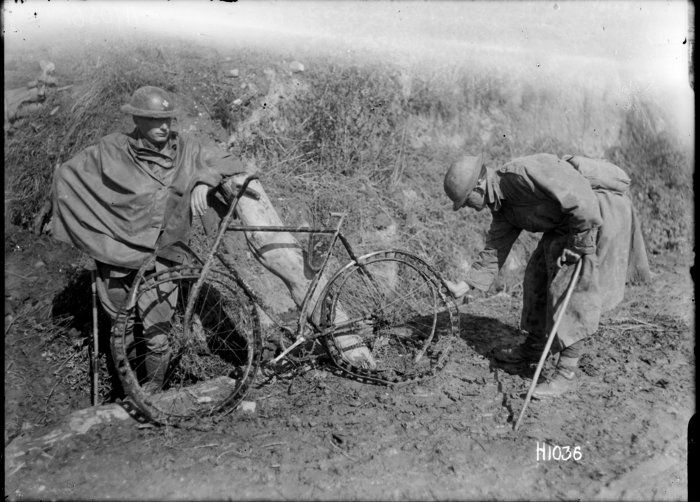 This entry was posted in Events, News and tagged 1914, 1915, 1917, 2014, centenary, cycling, Francois Faber, Lucien Petit-Breton, Octave Lapize, route, Tour de France. Bookmark the permalink.